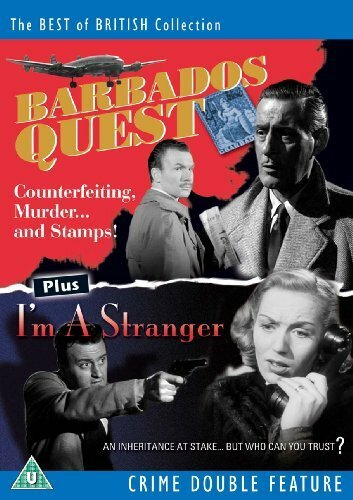 I had never heard of these Film Studios, and it was only when I was l0oking at the films of James Hayter that I came across one called I’m a Stranger made in 1952 at the Viking Studios in London. 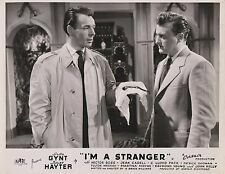 The Film I’m a Stranger 1952 gets off to a quirky start, with glamorous star Greta Gynt, playing herself, having engine trouble en route to meeting a Hollywood producer, accepting a lift from local window cleaner and amateur sleuth James Hayter, discovering an injured woman in the back of his van and even more improbably, hanging about to help him investigate. There is a rather clever twist ending though. Jean Cadell has an unsympathetic part as usual, as a charmless nurse, Charles Lloyd Pack hams it up as a smug lawyer and there’s an early role for a young and barely recognisable Fulton MacKay as a doctor called Alastair Campbell. Another famous-name-to-be, this time behind the scenes as editor was future Carry On director Gerald Thomas. This film can be recommended to fans of British 1950′s B films, especially for the enjoyable performances from Greta Gynt and James Hayter. 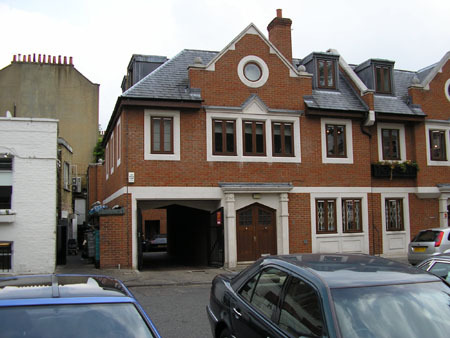 Viking Studios was located in St Mary Abbots Place, a quiet cul-de-sac off Kensington High Street in central London. For filmmakers on low budgets these Studios proved a boon as it meant they could create the illusion of filming in different places without ever leaving the street because all the houses on the street had been built in a different style. So in “I’m a Stranger”, John Kelly walks past number 5, knocks on the door and enters number 3 (actually a door into the studio). 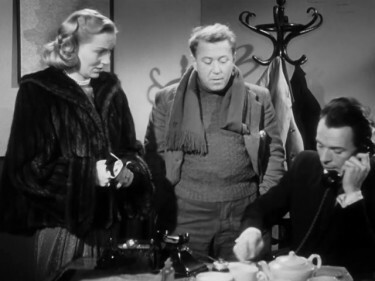 Later, Greta Gynt tells James Hayter (who comes to her assistance) that her car has broken down. In reality, they’re across the road from the studio. When she and James Hayter drive off, they’re heading towards the end of the cul-de-sac. They stop upon discovering their stowaway and are, in fact, outside number 2 – which is where they started. Their stowaway asks to be taken to ‘Dr. Westcott, number one Oxley Street’. They oblige and arrive at 1 St Mary Abbots Place, just across the road and another door into the studio. The Viking Studiowas also known as ‘St Mary Abbott’s Place Studios’. It was sited, not surprisingly, in St Mary Abbott’s Place which is just off Kensington High Street – between Edwards Square and Warwick Gardens in Kensington. A document dated 1953 states that there were two studios, 1: 40ft x 26ft and 2: 35ft x 26ft. Looking at the plan below, it appears that these were knocked through to form one larger studio some time between then and 1955. This probably happened when ITV became involved. 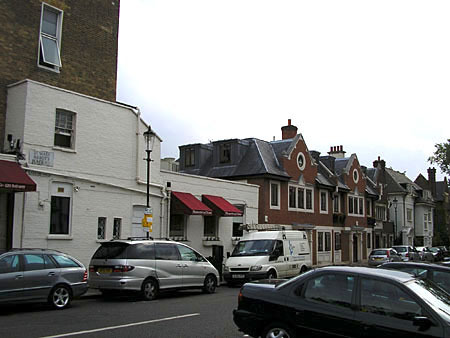 St Mary Abbott’s Place in 2006. The studios were on the site of the new red-brick building to the right of the white-walled restaurant. The frontage of the new building on the site of the Viking Studios. The passage on the left was the original access to the studio although at that time it was wide enough to reverse a scenery truck up it.